With the primary election in the rear view mirror, the race for governor is now in full gear. The huge increase in television ads centered around the race for governor, started just days after the primary, is the most visible sign of this big race that will likely not cease until Election Day. State Superintendent Tony Evers came through his primary with a strong showing in a field that included eight candidates by taking 41.8% of the vote. Union Firefighter Mahlon Mitchell came in second with 16.4%, and former State Representative Kelda Roys took third with 12.8%. Evers won 67 of Wisconsin’s 72 Counties with Kathleen Vinehout (4th place finisher) taking 4 counties that she currently represents as a member of the state senate (Pepin, Buffalo, Pierce, and Jackson). Mahlon Michell won Milwaukee County with 35.2% percentage of the vote. Governor Walker actually had a relatively unknown candidate, Robert Meyer, challenging him in a GOP primary. Walker bested Meyer 91% to 8.4% to advance to the November general election. Look for a piece in the next Badger Builder from WBA endorsed candidate Governor Scott Walker, which will highlight some of his accomplishments and issues to address in the future. Recently the MacIver Institute posted an article titled “Cancel The ‘Blue Wave’-Poll Finds GOP Advantage in Key Wisconsin Districts” which highlighted some polling data done by the Jobs First Coalition that surveyed 600 votes in eight key assembly districts in Wisconsin. The eight districts that surveyed in the poll were state assembly districts 49 (Tranel), 50 (Open, Brooks), 51 (Novak), 68 (Open, Bernier), 72 (Krug), and 85 (Snyder) and state senate districts 17 (Marklein) and 23 (Open, Moulton). Governor Walker’s approval rating in these districts is strong with 54% saying they approve of the he is doing and 43% disapproving. Walker's strongest area of approval (56%) was in the Wausau area. President Trump’s approval rating overall is stronger in these districts than other areas of the state. His approval rating is at 49% approve and 47% disapprove. The La Crosse/Eau Claire area was the strongest defined geographic area with a 55% approval rating. When asked “Which one of the following should be the top priority of the Governor and state legislature?” respondents picked “Cost of healthcare” (23%), “Improving public education” (21%), “Improving the economy and job situation” (13%), and “Cutting government spending” (10%). If these numbers hold up over the next two months, it would be very good news for Governor Walker’s reelection prospects and the likelihood that the GOP would retain the majority in both the state assembly and state senate. With some news outlets reporting that State Senator Leah Vukmir was outspent by as much as $8 million, she was able to beat businessman Kevin Nicholson 48.9% to 43.0% to move on to face incumbent U.S. Senator Tammy Baldwin. Vukmir’s strong support in the Milwaukee media market, where she has been a member of the state assembly and state senate since 2003, allowed her to roll up the margins she needed to make up for losing 58 of Wisconsin’s 72 counties. In the populous counties in southeastern Wisconsin, Vukmir took 67.1% in Waukesha, 64.4% in Milwaukee, 63.3% in Ozaukee, 61.6% in Washington. One of the big questions that remains to be seen is if those who were aggressively supporting Nicholson will continue to write checks to promote Vukmir and create a contrast with Senator Baldwin in the general election. For an interactive map courtesy of the Washington Post showing the results of the Vukmir-Nicholson race, click here. Conventional wisdom thought that Senator Baldwin, the well-funded incumbent, would be up by a fair amount coming out of the primary, regardless of who won the GOP nomination. That conventional wisdom was wrong, judging by the latest Marquette Law School poll that was released this week showing the Baldwin-Vukmir race inside the margin of error. Baldwin is ahead of Vukmir 49% to 47% with a 3% margin of error. This close poll should provide Vukmir with some additional funding as those who were sitting the primary out or thought that Baldwin was in better shape may now write a check to help her campaign. 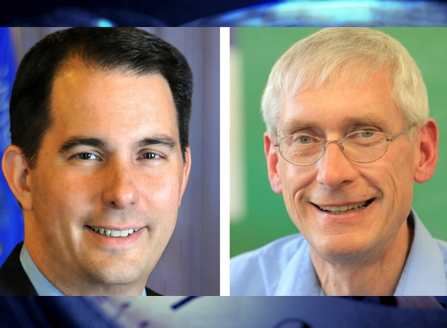 The race for governor is tied with both Walker and Evers receiving 46% of the vote with only 2% saying they have no preference. One positive sign for the GOP is that likelihood to vote appears higher for republicans (69%) than for democrats (67%). Some see this numbers as an outlier that is not consistent with other polls done on the topic that have shown democrats being more motivated than republicans to vote this fall. Governor Scott Walker announced $10 million is available to contractors through the Wisconsin Housing and Economic Development Authority’s (WHEDA) Contractors Loan Guarantee (CLG) program. 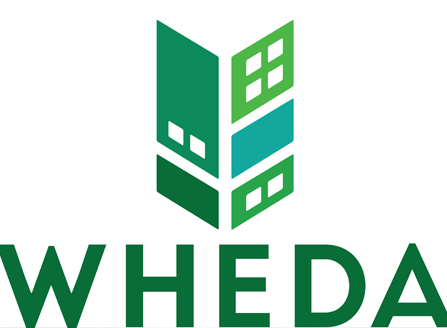 WHEDA will partner with local lenders to guarantee 50 percent or up to $750,000 on new loans, helping contractors pay expenses for working on qualified contracts. The CLG is designed to help address one of the biggest barriers for contractors bidding on construction projects – limited access to capital. WHEDA, along with its lending partners, will make access to capital quicker and more affordably through this program. The CLG helps reduce financial risk for the lender while ensuring that Wisconsin contractors have access to funding. Streamlined application – The loan approval process has been streamlined and simplified. WHEDA will be utilizing an eligibility checklist that will take approximately one week to approve. Expanded eligibility – The CLG will now be open to general contractors and subcontractors who meet the eligibility criteria. Reduced fees – The only fee will be 3% on the guaranteed amount of the loan at closing. There will no longer be an annual servicing fee. “WHEDA is prepared to assist contractors and subcontractors looking to benefit from Foxconn’s economic ripple effect with this financial tool which can ease the pathway to securing necessary loans for their businesses,” said Governor Walker. WHEDA and the Wisconsin Department of Workforce Development are hosting free Wisconn Valley Capacity Building Sessions to educate small and disadvantaged businesses, including those owned by women, minorities, and veterans looking to use the CLG and other state resources to compete for work with Foxconn and other statewide contract opportunities. The first capacity building sessions was held today in Milwaukee. The next capacity building session is Friday, August 24, from 8 to 11 a.m. at the SC Johnson iMET Center, 2320 Renaissance Blvd., Sturtevant. The sessions are free, but registration is required. Click here to register. Lenders and contractors can find more information about WHEDA's CLG program at www.wheda.com or by calling WHEDA Business and Community Engagement at (414) 227-1852. PAs part of the Trump Administration’s ongoing regulatory reform efforts, EPA has requested public comments on how it can be more transparent concerning the scientific data it relies upon to establish new federal environmental regulations. The Agency also aims to be more consistent when evaluating the costs and benefits of proposed rules. NAHB encouraged EPA to make all scientific data supporting a regulatory action available for public review and to use a more consistent method for evaluating costs and benefits of proposed rules. In its comments, NAHB asked EPA to extend the scientific data transparency proposal to proposed rules as well as Agency guidance documents. While EPA is already required to consider the costs and benefits of proposed rules, underlying federal environmental laws vary considerably in how economic costs are considered during the federal rulemaking process. NAHB urged EPA to develop a consistent methodology for conducting cost-benefit analyses during the federal rulemaking process. NAHB also requested that EPA perform a cost-benefit analysis of regulations during the required retrospective reviews of existing regulations to ensure those regulations are still cost-effective and functioning as intended. Finally, NAHB asked EPA to perform cost-benefit analyses on federal permits as well. NAHB has long objected to EPA’s failure to perform cost-benefit analyses on federal permits. For additional information about the scientific data transparency comments, contact Tamra Spielvogel; for information about the cost-benefit comments, contact John Kosco.